Tip Settings can be configured here. This feature is only available to restaurants. 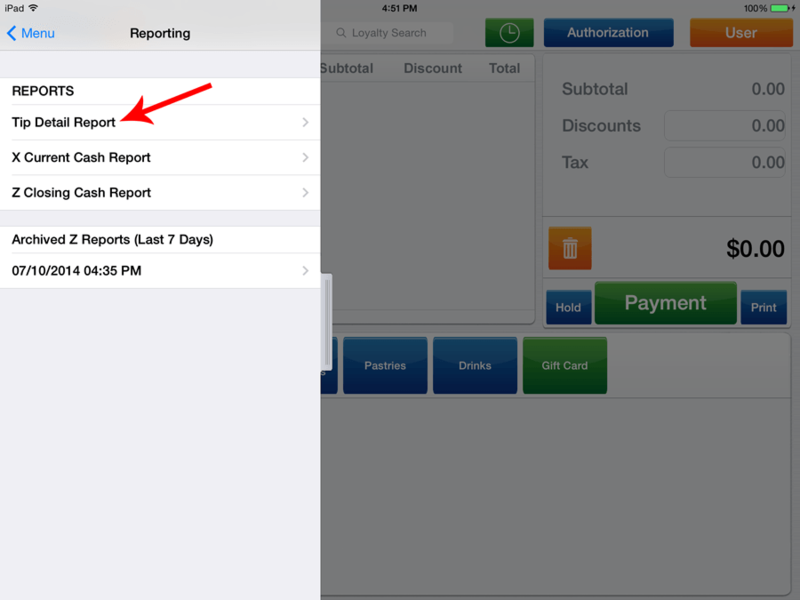 Tip Adjustment allows you to quickly enter tips for multiple transactions and adjust all. Tap the bar to the left to access a pull out menu. Select Tip Adjustment. All transactions will display. At this point, you can add the tips for each transaction. You can adjust one transaction at a time by clicking the green Adjust button, or adjust all transactions at once by clicking the orange Adjust All button at the top right of the screen. After selecting Adjust or Adjust All, a Confirmation screen will appear. Select Yes. 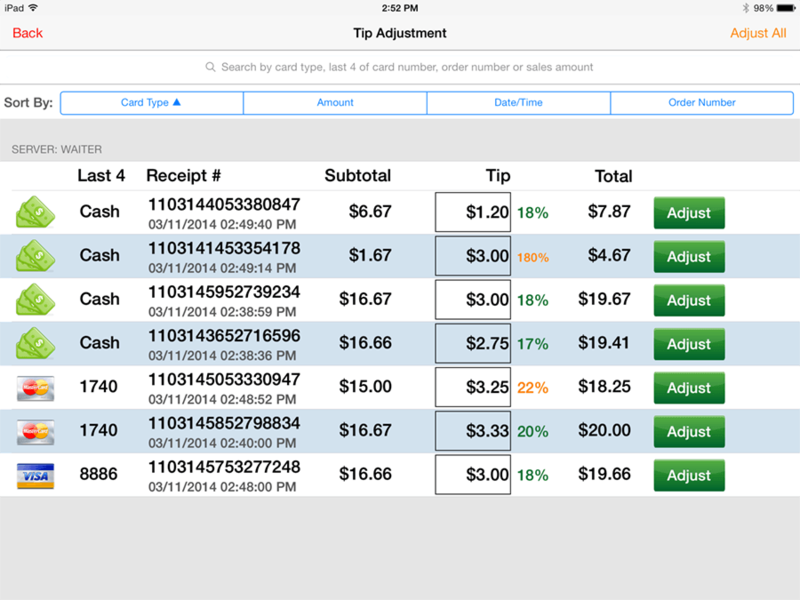 The Tip Detail Report allows you to reconcile and track tips, by listing all transactions and their corresponding tip amounts. Tap the bar to the left to access a pull out menu. Select Reporting. The Tip Detail Report will display. You have the ability to Print using the Print button in the top right corner.